For individuals suffering from obesity, losing excess weight with the help of bariatric surgery is a continuous journey. In order to be successful in losing extra weight and keeping it off over the long term, patients must be fully committed to making healthy lifestyle choices - for the rest of their lives. 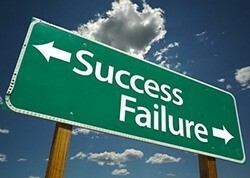 Learning how to achieve a healthier lifestyle can be difficult, but the outcome is worth it. Not only do successful bariatric patients look fitter, but many are able to resolve the serious health issues related to obesity. Successful weight loss patients are able to engage in activities that they were not able to do before, such as travelling or riding a roller coaster. They feel better about themselves and are happier in general, thanks to the more fulfilling life that they lead after losing weight. 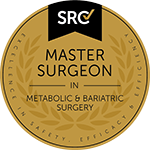 St Mary’s bariatric surgery specialist Dr. V. Kuzinkovas of Advanced Surgicare wants to give his weight loss patients the best chances possible to succeed. That is why he offers a comprehensive weight loss program that does not stop when the surgery is complete. He and his staff at Advanced Surgicare understand that major weight loss is a journey, and therefore provide valuable tools and resources to help you along the way. Eating smaller portions of well-balanced, nutritious foods is an integral part of achieving weight loss success. Advanced Surgicare provides patients with a dedicated bariatric dietician to help patients transition to new, healthier eating habits after bariatric surgery. In the meantime, here are a few details about proper nutrition after weight loss surgery. During the first week immediately after bariatric surgery, individuals must adhere to an all-liquid diet. They add skim milk and protein shakes to their diet during the second to fourth weeks following surgery, gradually progressing to a diet consisting of pureed foods toward the end of this period. After this, patients advance to a diet consisting of soft foods before moving on to a solid-food diet about six weeks after their bariatric procedure. At this point, individuals should be eating smaller portions of healthy solid foods, which they should continue to do for the rest of their lives. Failing to follow an appropriate diet after surgery and consuming certain foods such as high-GI carbohydrates can result in unpleasant symptoms, including diarrhea, nausea and abdominal cramping, comprising what is known as "dumping syndrome. "Also, eating too much or too quickly and mixing liquids with solids can cause vomiting or an intense pain underneath the breastbone. In addition, certain bariatric procedures namely gastric bypass can make it difficult for the body to absorb an adequate amount of nutrients from foods. Therefore, patients must take vitamins and protein supplements to prevent nutrient deficiencies. Failing to do so can cause temporary hair loss or other symptoms of malnutrition. 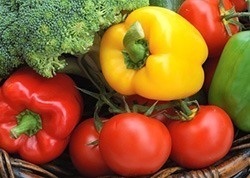 To help patients stay on the right dietary track and get the proper amount of nutrients, the Advanced Surgicare dietician creates a customized healthy eating plan that is high in nutrients and low in unnecessary, or "empty,"calories for each individual. Every six months, the Advanced Surgicare team also monitors patients' levels of vitamins, minerals, electrolytes, liver enzymes, thyroid hormones and hemoglobin to minimize the chance of suffering from malnutrition and maximize the chance of weight loss success. Adhering to a consistent exercise program is also necessary to lose the excess weight and maintain the results. Proper exercise has been shown to help patients lose more excess weight after surgery as well as retain more muscle mass during the period of rapid weight loss that typically occurs initially after surgery. Preserving muscle mass is essential to maintaining a high metabolic rate, thus reducing the amount of fat present. In addition, engaging in routine physical activity, including muscle-strengthening exercises, helps reduce the amount of excess skin that some patients experience after losing a major amount of weight. As soon as possible after surgery, patients should begin walking. They should gradually increase their physical activity, eventually getting a minimum of 30 minutes of exercise each day. To help patients stay active and achieve optimal weight loss results, the Advanced Surgicare personal trainer tailors each exercise program to the individual's needs. Certain individuals may benefit from psychological counseling to help them on their weight loss journey. These patients are invited to meet with Advanced Surgicare's compassionate psychologist. She has extensive experience counseling bariatric patients. Why is psychological counseling beneficial for some patients? Only 13 to 20 percent of obese individuals who try to lose weight without outside help (including the help obtained with bariatric surgery) succeed in losing a minimum of 5 percent of their total body weight and in maintaining this weight loss for five years. Taking these low success rates into account, many bariatric professionals have adjusted their previous approach to helping patients lose weight. In the past, some bariatric experts touted the importance of practicing willpower to their patients. Now, however, experts increasingly agree that some patients who suffer from obesity are simply not able to "flip a switch"and suddenly exhibit strong willpower. Instead, many bariatric patients require counseling to identify the psychological reasons and behavioral factors that lead them to overeat. Providing a strong psychological foundation and a longer postoperative period of follow-up support for weight loss patients helps many individuals achieve long-term weight loss success. In fact, the Cochrane review organization has found that increasing the intensity and duration of psychological support significantly improves weight loss results. 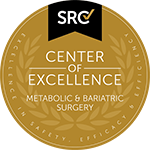 The Advanced Surgicare psychologist can meet with bariatric patients, if necessary, to review the psychological and behavioral factors that contribute to the patient's struggle with obesity. By addressing and eventually eliminating these negative factors, bariatric patients experience increased success in losing excess weight. To schedule an appointment with Dr. Kuzinkovas or to learn more about the Advanced Surgicare comprehensive weight loss program, contact Advanced Surgicare Clinic by calling 1300 551 533.